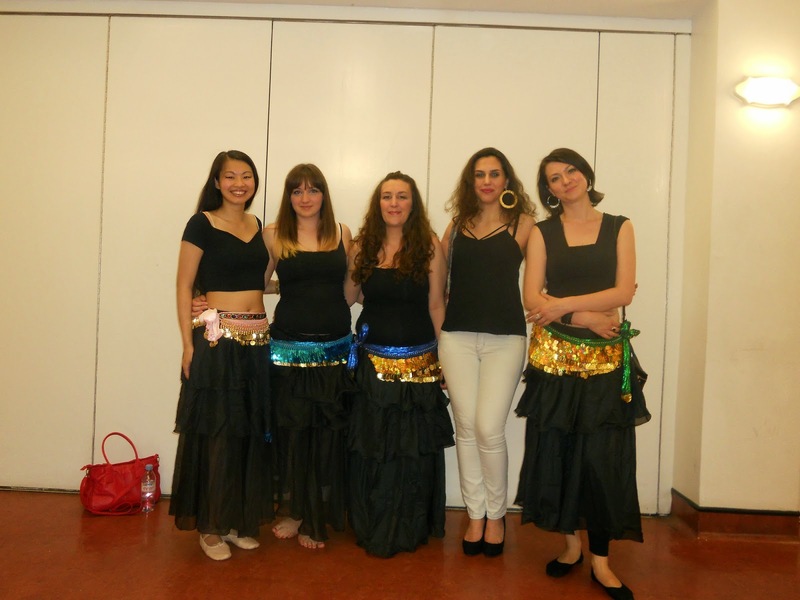 My belated end of year show...in Ballet and Belly Dancing! Now fast forward to summer 2014....can you spot any difference? Perhaps not visible to the naked eye but I did somehow feel an improvement and even enjoyed performing our humorous routine! I must say this year’s show has been the trickiest, as not only the ballet routine was much harder in focusing on individual technique without the help of a steady barre bar, I also had to remember a rather hard belly dancing routine with a mini solo section! Of course I wobble a little when doing the battement developpe like an utter novice (who has not taken several terms of beginner's ballet classes), but I did overcome the internal shakiness which is something in itself. In loving support, my wonderful girlies decided to come for the show and we went for a fun dinner at an American vintage inspired bowl place in Brick Lane afterwards. To me, having them there just for the show already meant a lot and I was so happy to see them…so it was a fabulous summer dream weekend indeed! To this year's backstage preparation......summer 2014! 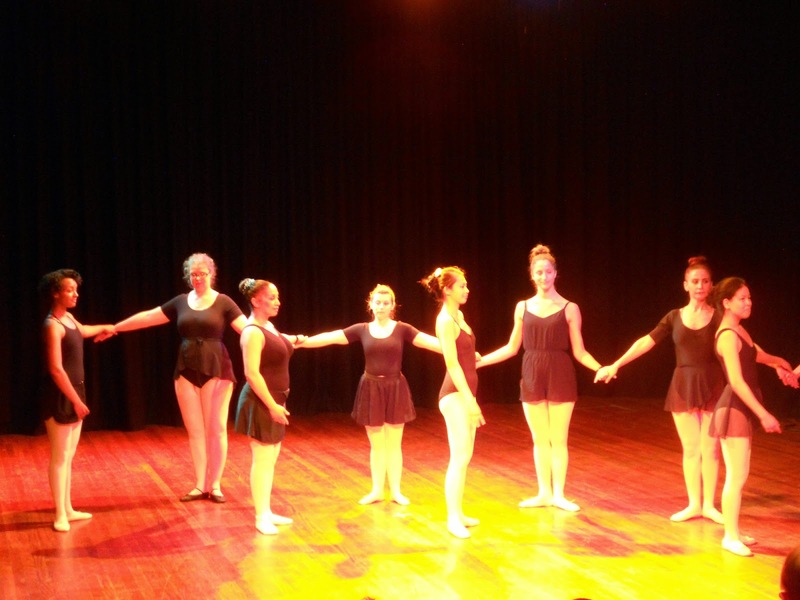 On stage for our ballet performance....this summer 2014....can you spot me? Slightly blurry.....but belly dancing ready (2014)! Doing my shimmy solo bit on stage.....intermediate belly dancing 2014! Must confess this post should have been published much much sooner and perhaps I have missed dancing through a busy past few months more than I realised. As things lay excitingly uncertain I am unsure if I will be able to join the coming term's dance classes, though I certainly do miss them, but I hope it will be a temporary sacrifice that will bring an even better tomorrow for me as well as others. Enough rambling for now, more excitement is to come as next week I shall reveal the brilliant Qipao Lover number 2.....who will be Miss September I hear you roar? Well...stay tuned till then, in the meantime if I should see you at the special '100 Dresses' Collectif evening next Sunday, please do stop me for a chat. With sunshine wishes I hope you will have an absolutely fabulous weekend my darlings!